Watch the launch edition unboxing video. 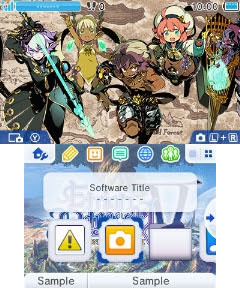 A free new Etrian Odyssey V: Beyond the Myth 3DS theme is available via the Nintendo eShop today in the Americas. It will launch in Europe alongside the game on October 17. Additionally, Atlus released an unboxing video of the game’s American launch edition, which includes a 24-page art book (preview here), six-track music CD, and an outer box. European buyers will receive the game and art book when they pre-order or purchase limited edition launch copies of the physical game. 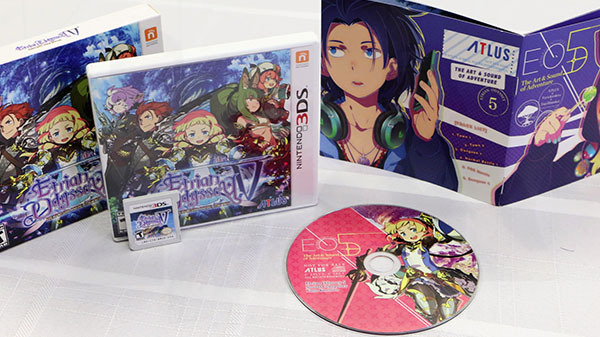 Etrian Odyssey V: Beyond the Myth is available now for 3DS in Japan, and will launch in the Americas and Europe on October 17. A demo is available now.